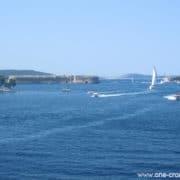 The archipelago of Šibenik is made of 249 islands and islets, only 6 islands are inhabited all year round. 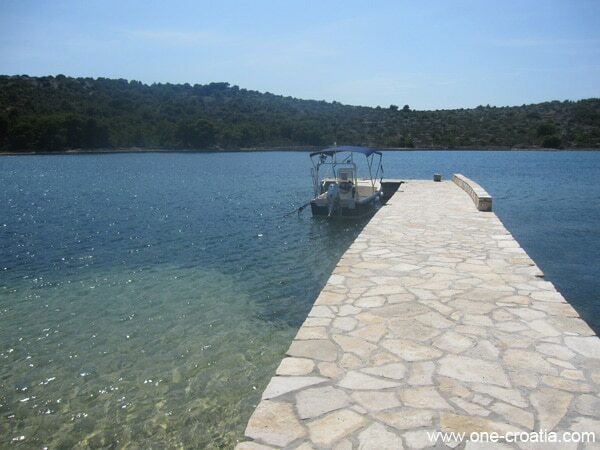 Today we are going to visit the island of Kaprije, it takes 1h05 by ferry to get there from Šibenik. There is no vehicle on the island (except the fire truck). 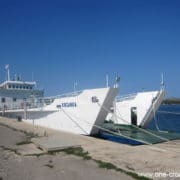 The cars you see on the ferry will actually go out on the island of Žirje. 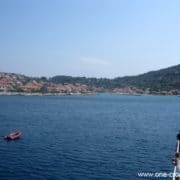 Since my husband and I live in Split we take the highway to Šibenik, that’s the fastest way, 1h00 and we paid 3 euros for the toll. If we would go along the coast it would take us 1h30 if there is no traffic. 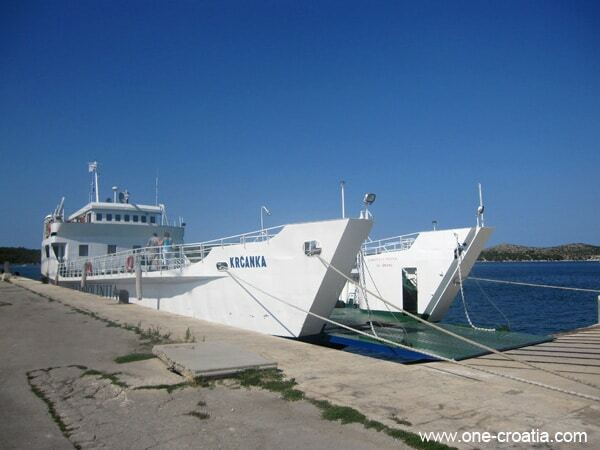 Once in Šibenik we park at the ferry port. 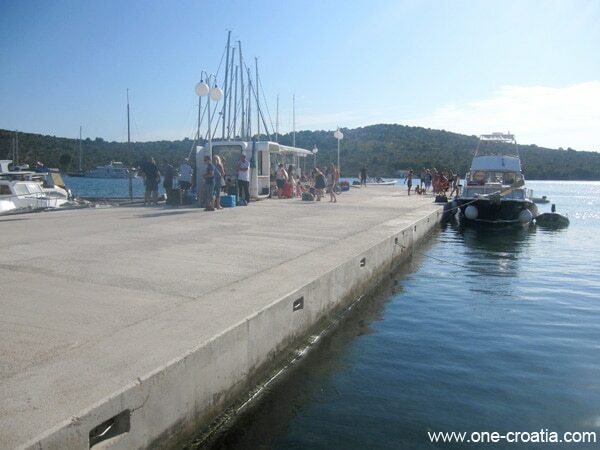 It is situated 500 m from the city center, only boats taking only passengers leave from the center. 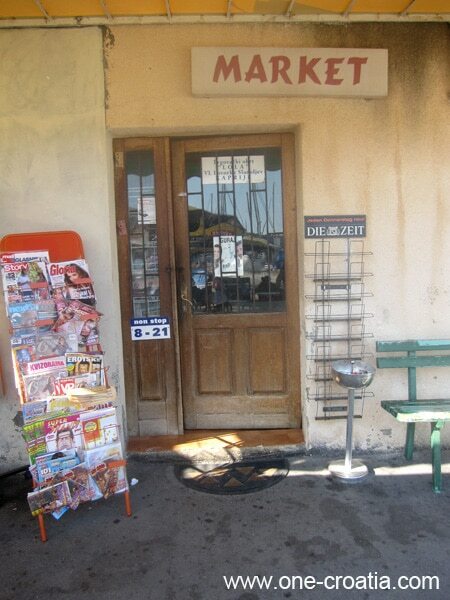 Parking is charged 5 kn (about 0,70 euros) per hour. 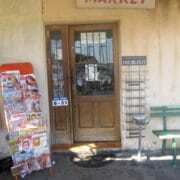 Then we buy our tickets at the office of Jadrolinija which is situated 50 m from the harbour in direction of the town’s center. 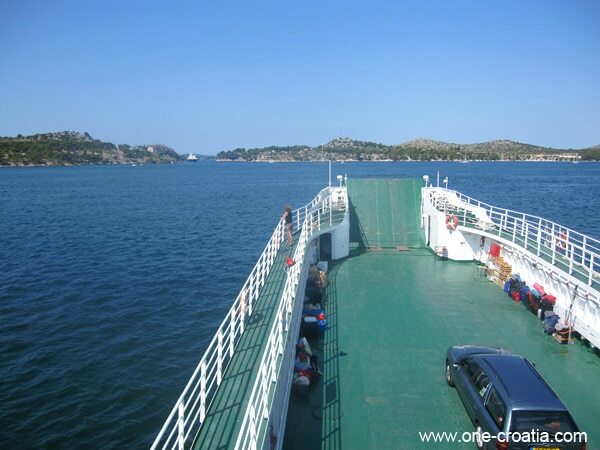 The crossing costs 23 kn per person for one way / 46 kn for the round trip (about 6 euros). 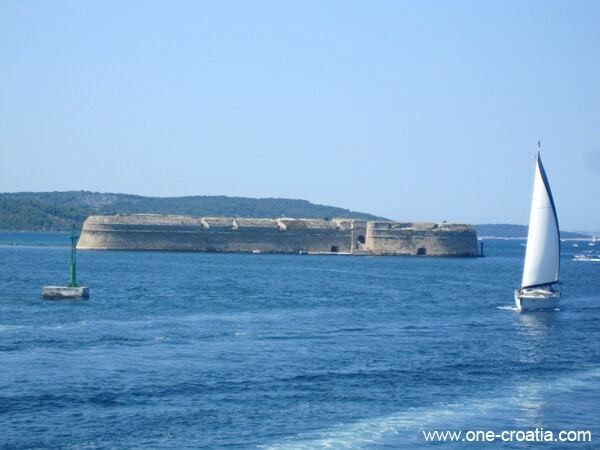 Today is Sunday, we take the first ferry leaving at 11:00 am and we will be back with the one leaving the island at 5:30 pm. 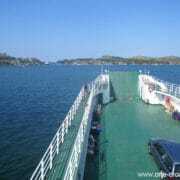 We enter the ferry at 10.15am. 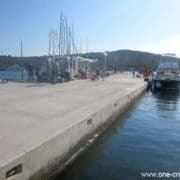 We are the first to enter the ferry which give us the possibility to choose a seat inside because even though there are very few cars on the ferry there is a lot of people on the boat, especially Croatians, because the island is not known from tourists. 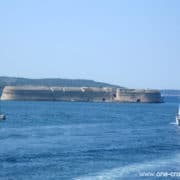 From the ferry we have a beautiful view on the old town, then we pass through the canal of Šibenik, enjoying the view on Saint Nicholas’ fortress. 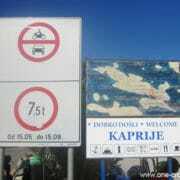 We arrived at 12:05 pm on the island, in the only village of the island which is also called Kaprije. It’s time for lunch! 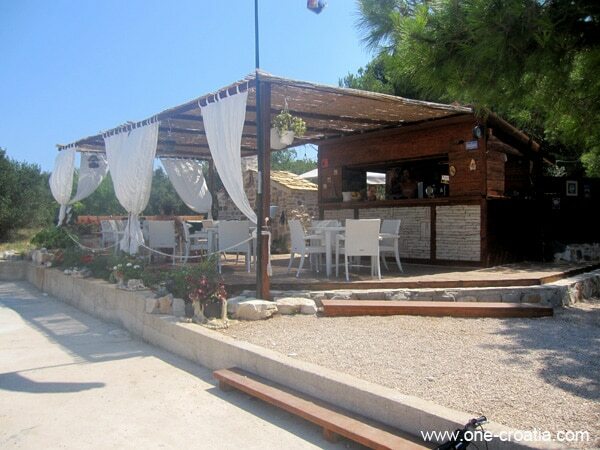 You will find in the village of Kaprije a few bars and restaurants. 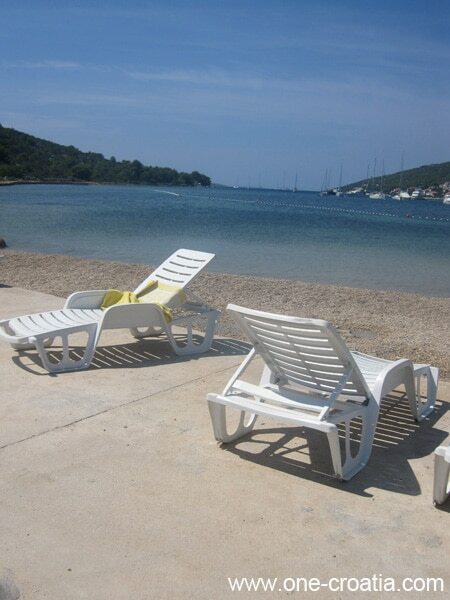 We choose the one with a shady terrace just in front of the port. 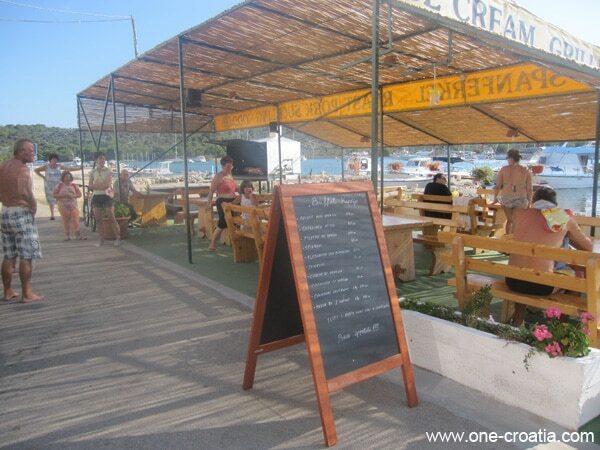 They propose a menu with typical Croatian food and prices are the same as on the mainland, about 8-10 euro for a main course. We order grilled squids, fried squids and Zagrebački odrezak (veal steaks stuffed with ham and cheese) that is big enough for two persons. 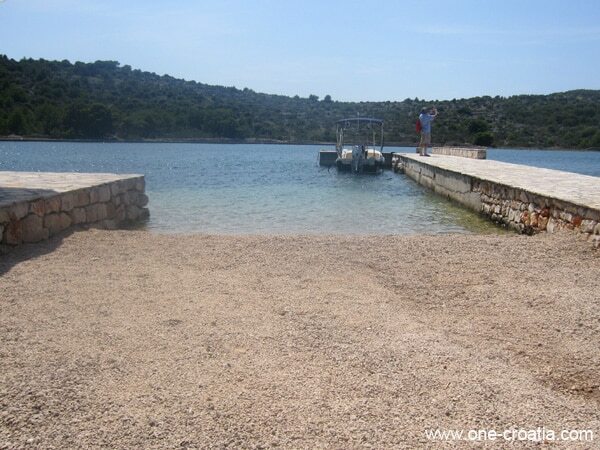 After lunch we have two possibilities: walk around the island or go to the beach. 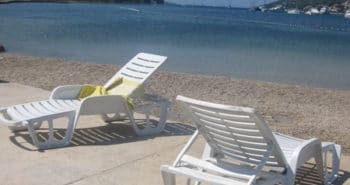 Because of the heat in this early August, we decide to take a swim and relax at the beach. There are only pebble beaches on the island. 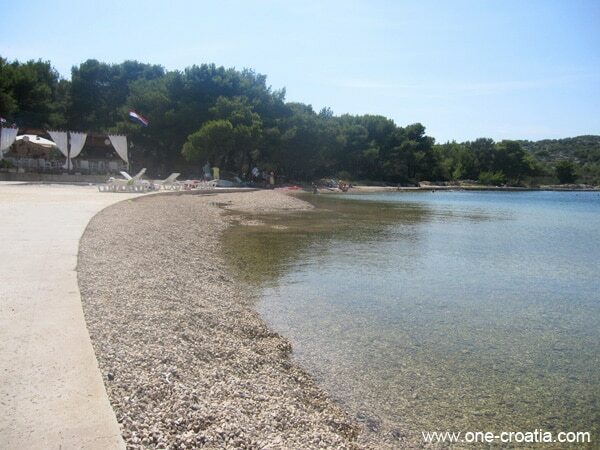 It is actually quite rare to find sandy beaches in Croatia. 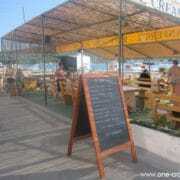 We go to the beach which is situated 300 m on the right from the ferry port. 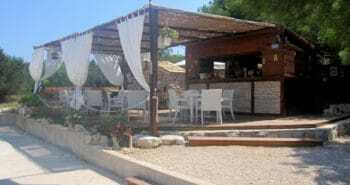 It is a small pebble beach and there is a bar just in front of it. 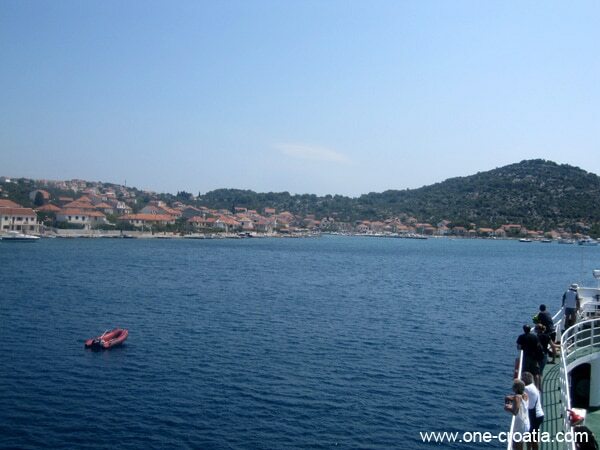 The sea is so clear and warm, just like anywhere in Croatia. 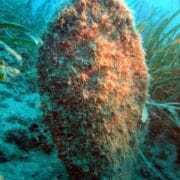 Even if I often have the opportunity to discover the underwater with a mask and a snorkel, I found myself here for the first time facing giant shells called ‘Noble pen shell ‘ or ‘Pinna nobilis‘. They look like giant mussels and they can reach up to 1 m in length. 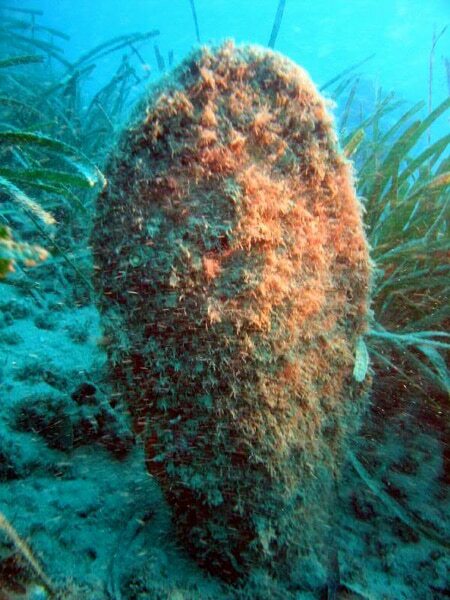 They are protected because they have disappeared from so many Mediterranean countries, most of all because of pollution and because of fishing them to sell the shell as a souvenir. They were very close from the beach and only 4-5 m deep. 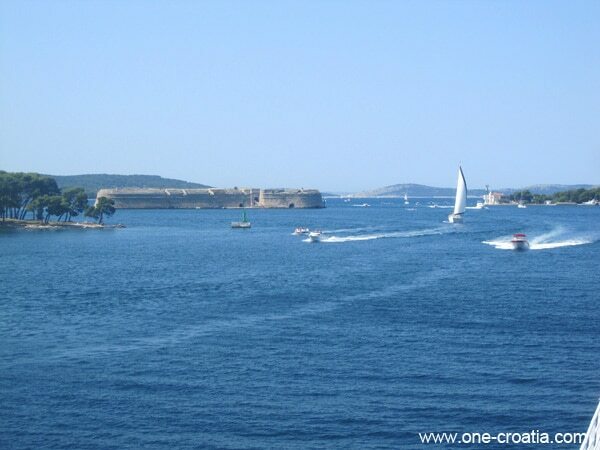 After such a nice day on the island we will take the ferry at 5.30pm to arrive at 6.40 pm in Šibenik. 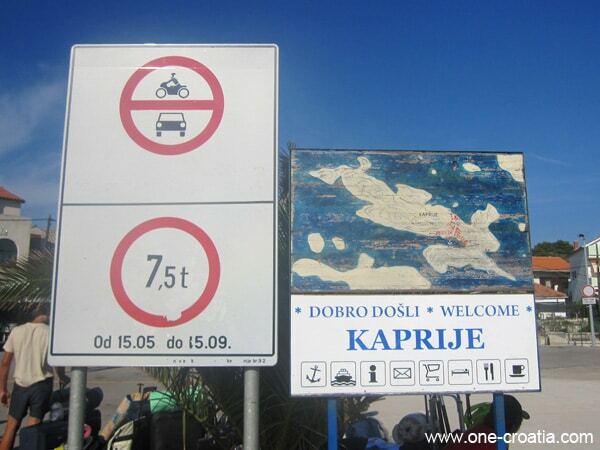 I would recommend the island of Kaprije to anyone who wants to spend a relaxing day away from the crowds. 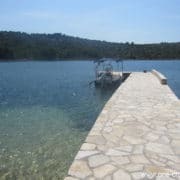 Book an apartement, a house or just a room in Šibenik. 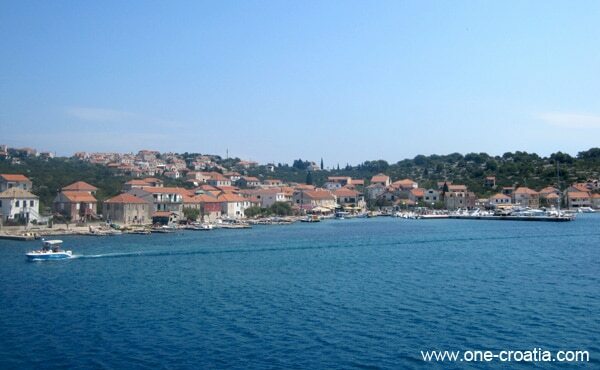 Book a hotel in the old town of Šibenik or in its vicinity.